Artist Emergence in Contemporary Culture | Jill Thayer, Ph.D.
“Artist Emergence in Contemporary Culture: A Dialectic in Social and Material Conditions of Southern California Artists,”Proquest/UMI (2011), a Doctoral Dissertation by Jill Thayer (972 pages) Claremont Graduate University ©2015 Jill Thayer, Ph.D. 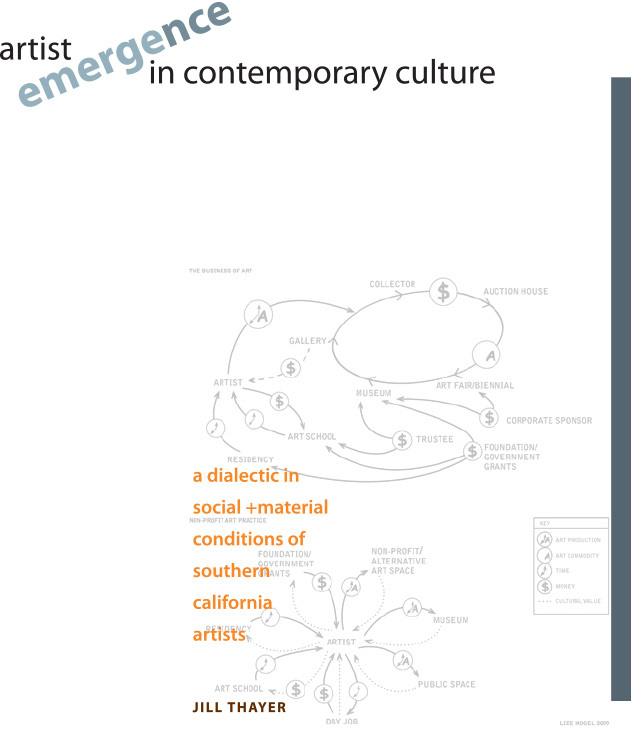 In my doctoral dissertation, “Artist Emergence in Contemporary Culture: A Dialectic in Social and Material Conditions of Southern California Artists” (Claremont Graduate University, 2011), I looked at factors of artist success. In it, I interviewed artists, gallerists, curators, critics, auction house directors, graduate arts management program staff, and others in the art world. This blog includes excerpts that I recently discovered––and still find relevant today. While art exists on many levels of consciousness and physical manifestation, the web brings global issues and other realities to the fore, disseminating an artist’s response exponentially and casting light on the representation of the conversation not the vehicle. Looking beyond new media technologies, art remains a significant voice in the culture. Though online environments offer immediate exposure and access to the work, this system of structure fails to replace the reality of the experience. Do good and avoid evil… Everybody’s doing it. Keep the commandments… If it’s legal, it must be right. The results of unethical judgments can often lead to unintended consequences. There is no substitute for critical thinking and the individual’s ability to take responsibility for his or her decisions… Shared values, such as truthfulness, integrity, fairness and equality, when applied to global business constitute a universal set of ethics.14 What applies to business may well apply to the art market. In this online consumer-driven environment, anything goes––and it will. In our globalized culture and the technological boom surrounding us, what belief systems and support structures exist? Artists thrive within a sphere of influence that may be informed by social, political, philosophical, spiritual, intellectual, environmental, or creative forces. Many follow spiritual paths in an effort to connect, transform, and create while others work democratically within a network of alliances and communities. Still others choose to go it alone in their career endeavors. The art market is made up of an established network of cooperative links that combine common practice and conventional understanding. Support structures might include family, academic and cultural institutions, peers, or community organizations that offer insight and resource to the artist. These relationships to real or virtual communities build a foundational framework, which serves to inspire, inform, and support artists along the way. Artists rely on various support systems in personal and professional survival. With sufficient outside resources, artists can devise their own distribution systems and at the same time create a brand within the culture. Author Howard Becker sees the cooperative network and sphere of influence informing the production of art as a collective action engaging the artist, suppliers, performers, dealers, critics, and consumers 18. He cites Paul Hirsch (1972) 19 using the term culture industries stating, “No one knows with any assurance what conventions this mass audience appreciates and accepts, what class or professional artistic cultural understandings might inform their choices,” as industries adapt numerous strategies to deal with the uncertain environment. Becker and French sociologist Alain Pessin look at the extended social system and its significance in the process. The artist, in trying to find the right path evolves through socialization and conventions imposed by the art market and life in general. These informing factors contribute to his or her identity construction, belief system, methodology, and career. Today, artist emergence has significantly challenged the traditional course of gallery and institutional systems granting new opportunities, accessibility, and personal enterprise for the artist. This fast-track exposure to global audiences, as a result of advancing communication and new media technologies has all but eclipsed the established norms of artist representation and ideologies of industry. What defines Artist Emergence? How does one become an artist, and what informs this personal path and career direction? How do artists navigate this real-time, streaming media revolution and information overload that is now a bi-product of our society? This complicated notion of emergence has many factors. Aside from childhood background, education, and experience, the most influencing force is the art market, which is informed by changing trends, economic conditions, professional practice, and of course, the players (i.e. artists, gallerists, dealers, critics, collectors, academic and cultural institutions, auctions, et al.). For an artist, it could mean a ‘big break,’ which may translate to a lucrative commission or sale, a high profile exhibition, a museum acquisition, peer acceptance, and/or critical review. The reference aligns with the term “success,” which usually breaks down to critical and commercial success. This issue has multiple layers, specifically in how we define ways of measuring success. Essentially, success means different things to different people––kind of the way art means different things to different people, which again, I see as context. Success is based on personal experience in relation to education, funding, media technologies, methodologies, and support systems. During the run of my gallery [Jill Thayer Galleries at the Fox, Bakersfield, CA 1994-2009], a show’s success meant connecting artist to viewer, particularly, as witnessed in conversation at the many openings over the years. Sure, sales mattered, but the true measure of success was in the engagement of the work and the experience it resonated. 1. Art is the core of their lives. 2. Successful artists understand how business works in the art world. Successful artists understand the entrepreneurial aspects of making a living as an artist. When they encounter something new or unusual on the business side, they investigate and learn to do it or delegate the task. They know the value of relationships and network in person and through social media. 3. Successful artists have a strong work ethic. They manage themselves, their creative energy and resources. They balance the time to produce art and to market it. Whatever rhythm of working they choose, they stick to it. Whether these artists enjoy the business tasks or not, they know they must be done and they do them without complaint or resentment. 4. Successful artists are resilient. They know that success does not happen overnight – it requires hard work. These artists understand that things don’t always work out the way they expect. When they make mistakes, they focus on solutions, not on regrets. They learn from experience and experiment to improve on any success they have. 5. Successful artists spend time only with people who are 100% supportive of their art career. They limit their time and emotional involvement with people who are negative especially about art as a career choice. If people close to them have the skills and inclination to be more directly involved in their art career, the artist can produce more and better. Successful artists do not allow unsupportive people to be an obstacle to their plans for success. There are a great number of books and professional references on the market in how to survive and prosper as an artist. They offer commercial advice in marketing, public relations, and management. Many include steps in developing a professional acumen, gaining representation, and building support structure. Aside from “how to” manuals, others on the media train include artist managers, career coaches, and advisors, some more credible than others. Joan Jeffri looks historically at artist careers and cites various studies of artist emergence in the following excerpt from “Managing uncertainty” 31 Artists’ career trajectories are neither linear nor predictable. Even the household names have had periods of great fame followed by fallow periods. The notion of career is a late twentieth-century concept. Pre-war artists did not speak in terms of ‘career’; they were simply painters. The USA is known for the pre-eminence of its entrepreneurs and risk takers in all walks of life, and American artists are no exception. Artists seek validation for their work as artists and recognition that they are, in fact, artists. In a study of 1,000 US painters in 1989 (The Artists Training and Career Project, or ATC), the Research Center for Arts and Culture at Columbia University found that, in their early careers, 61 percent of painters received validation from teachers and 50 per cent from peers (Jeffri et al. 1991:2032). Validation in the initial stage of an artist’s career usually includes some kind of representation – a jury selection, an agent or a gallery. This stage has certain markers. Mihaly Cziksentmihaly concluded a longitudinal study of arts students from the Art Institute of Chicago in the 1960s and found that what represented career entry for man of them was getting a loft apartment/studio. For ATC artists over 25 years later, clearly, the cachet of a loft did not signal ‘arrival’ as a professional. Thirty-four percent identified their first professional recognition as a gallery show, another 33 per cent as an honor or award, 17 per cent as winning a competition and 28 per cent as the first dale of their work. (Some respondents chose more than one answer.) Thirty-six per cent were first represented in the market between ages 18 and 25, and 32 per cent between ages 26 and 35 (Jeffri et al. 1991:16-1733). In the previous 12 months, 65 per cent of the respondents had participated in group-invited exhibitions, 52 per cent had been involved in group competition exhibitions, 50 per cent had one-person shows, and 49 per cent had participate in juried events (Jeffri et al. 1991:2234). Lize describes her depiction of the art market: Both diagrams picture different economies within the art world. 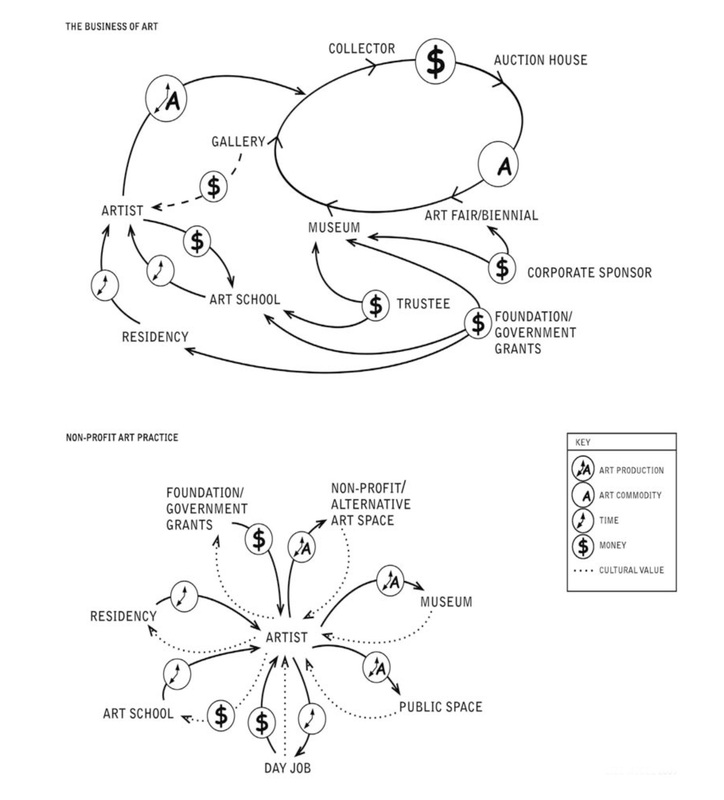 The ‘Business of Art’ diagrams the conventional path for an artist (at least, this is the dominant model that is pushed on artists throughout their education/career), where the artist’s production is commodified and circulated, gaining value and producing income for a circle that does not include the artist (with few exceptions, the majority of artists do not make as much money from their own work as, say, collectors do). What the artist mostly receives in return is ‘increased cultural value’ (not shown on this diagram), but you can’t pay your rent with that. I consider this to be an unsustainable and exploitative system (for the artist), where an enormous amount of money is made and circulated but a relatively small percentage of it gets back to the artist. The ‘non-profit art practice’ depicts the practice of an artist who does not participate in the gallery/commodity system, but rather shows how artists participate culturally in the larger art world. Income comes from a ‘day job’ and from grants; and the main exchange is of art production for cultural value. The artist has a different position of power in this diagram. Here she is at the center, while I think of the other diagram as portraying the artist as disempowered. (I think of this one as a lotus flower and the other as an octopus squeezing a small fish.) Of course there are overlaps in the two charts (i.e. commercial artists also have jobs that feed their practice and increase their cultural value; and non-commercial artists do receive money for aspects of their practice). 1927 Walter and Louise Arensberg, major patrons of Marcel Duchamp, move from New York to Los Angeles and install their trove of modern art and ethnic artifacts in a Hollywood house that attracts art aficionados from far and wide. 1933 German art dealer and collector Galka E. Scheyer, who represented Alexei Jawlensky, Vasily Kandinsky, Paul Klee and Lyonel Feininger, settles in L.A.
1934 Painters Lorser Feitelson and Helen Lundeberg start the New Classicism movement, later known as Post-Surrealism. 1948 The Modern Institute of Art opens in Beverly Hills but closes in less than two years because of insufficient funding. 1951 The Los Angeles City Council decrees that modern art is Communist propaganda and bans its public display, but the ordinance has little effect. 1957 Artist Edward Kienholz and curator Walter Hopps open Ferus Gallery on La Cienega Boulevard. 1959 The L.A. County Museum of History, Science and Art presents “Four Abstract Classicists,” bringing national attention to Southern California painters Karl Benjamin, Lorser Feitelson, Frederick Hammersley and John McLaughlin. 1962 Ferus presents Andy Warhol’s first show of his Campbell’s soup can paintings, priced at $100 apiece. 1963 The Pasadena Art Museum presents the first full retrospective of Marcel Duchamp’s work. 1965 The art division of the mixed-use county museum in Exposition Park gains its own home, the Los Angeles County Museum of Art, on Wilshire Boulevard. 1965 Nicholas Wilder opens a gallery featuring contemporary art from New York and Los Angeles. 1965 The Watts Towers Arts Center is launched under the direction of artist Noah Purifoy. 1966 County supervisors threaen to shut down a retrospective of Edward Kienholz’s sculpture at LACMA, and the show becomes a succès de scandale. 1968 Artists Dale and Alonzo Davis open the Brockman Gallery, a showcase for African American art. 1969 The Pasadena Art Museum, a stronghold of contemporary art, moves into a new building it can’t afford on Colorado Boulevard. 1971 LACMA stages “Art and Technology,” a landmark exhibition capping a four-year collaboration between artists and scientists. 1974 Industrialist Norton Simon takes charge of the financially stressed Pasadena Art Museum and installs his collection of European and Asian art. 1974 The Los Angeles Institute of Contemporary Art launches with an exhibition, “Nine Senior Southern California Painters,” and a periodical: the LAICA Journal. 1979 The Museum of Contemporary Art is founded through an initiative of the Community Redevelopment Agency. 1979 Self Help Graphics, a Chicano printmaking studio and gallery founded in 1970, moves into what becomes its longtime home in East L.A.
1983 MOCA opens its Contemporary Temporary exhibition space, later dubbed the Geffen Contemporary. 1986 LACMA inaugurates its Robert O. Anderson Building for modern and contemporary art. 1986 MOCA opens its flagship building, designed by Arata Isozaki. 1992 MOCA presents “Helter Skelter: L.A. Art in the 1990s,” a blockbuster exhibition about young L. A. artists. 1994 UCLA takes charge of the Hammer Museum, which develops a strong contemporary art program. 1994 The L.A. gallery scene expands into Bergamot Station, a sprawling arts complex in Santa Monica. 1999 The opening of China Art Objects inaugurates a transformation of Chinatown. 2003 Blum & Poe’s move adjacent to Culver City sparks an explosion of contemporary art galleries. What factors inform an artist’s career? How do information technologies and virtual environments impact artistic creation, methodological approaches, and ultimately, representation in the marketplace? Of the many issues that artists face in pursuing their careers, staying true to self is vital. Opportunities abound. C H O I C E S.
As one transitions into the professional realm of the art market, what foundational structures are relied upon? What grounds an artist when reaching for greater goals? Consider the many inclinations of a career path. Is the course well planned or random, or do you figure it out as you go? What differentiates an amateur from a professional? Is it education, training, experience, representation, critical review, sales, visibility, quality, context, or intent? You may see your creative profession as a lifelong endeavor committed to your practice, or a steppingstone to something else. Developing a career means developing a professional acumen and asking the questions. How will you sustain or grow your career, and most of all, how will it be managed? Once in the arena, an organizational structure must exist beyond just wanting to ‘do art.’ Look at the bigger picture to see where you fit in or aspire to be. What is the greatest contributing factor to an artist’s success? The field is vast and the best way to explore it is through immersion. See art. Talk art. Live art. Engage in a critical discourse. Get out there and discover what exists. Take issue with what’s going on in the world. Tour galleries and museums, and attend trade shows, art fairs, and lectures. Read art journals, reviews, and texts. Visit artist studios and research graduate art programs, and, by all means, speak to those in the trenches. Artists, curators, gallerists, writers, teachers, arts administrators, and creative individuals are out there making choices and fulfilling their passion. Whether young or old, emerging or established, each has conquered challenges in his or her career. The process of discovery may intimidate or inspire, but it may also help to clarify your goals or retool your aspirations. In so doing, you will begin to understand the playing field. Jill Thayer, Ph.D. is an artist, educator, art historian, and curatorial archivist. She explores the narratives of people and their contributions to the cultural discourse. In 2011, she received her doctorate in Cultural Studies/Museum Studies from Claremont Graduate University in the areas of exhibition theory, contemporary art history, design theory, and visual culture with transdisciplinary study in Global Strategy and Trade at St. Peter’s College, University of Oxford, UK through Peter F. Drucker and Masatoshi Ito Graduate School of Management. Her postdoctoral oral history series, “In Their Own Words: Oral Histories of CGU Art” of Claremont Graduate University Art alumni, professors, and professors emeritus is included in Archives of American Art at The Smithsonian Institution. 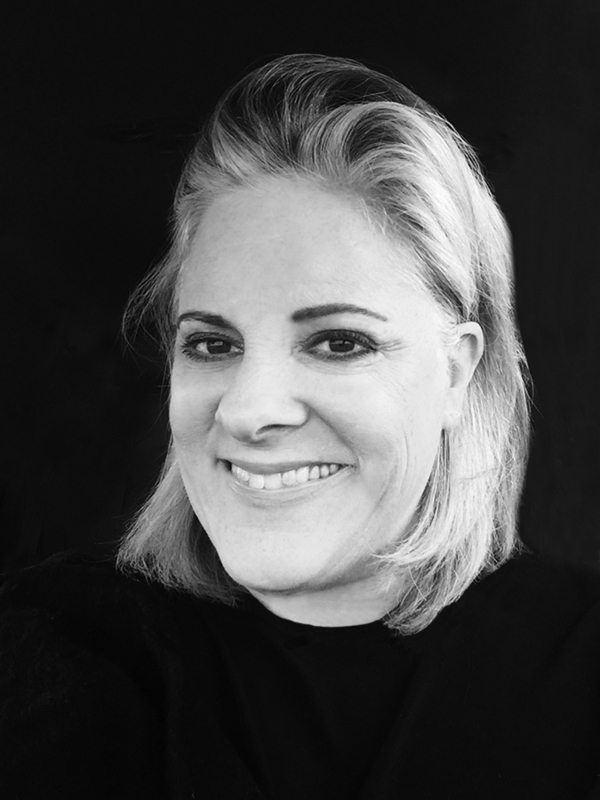 Prior to returning to graduate school, she owned a design firm for 25 years working with regional and global clientele in visual communication and marketing strategy. As a gallerist for 15 years, she showcased local and international artists at Jill Thayer Galleries at the Fox, Bakersfield, California. Jill is part-time faculty teaching at Santa Monica College, Art History (Art Appreciation: Global Visual Culture); Southern New Hampshire University (Art History, and Marketing); National University, La Jolla, School of Business and Management (Marketing/Integrative Strategies); Post University, Malcolm Baldrige School of Business (MBA Marketing); and Allan Hancock College, Fine Arts (Art Appreciation). She developed MBA/Arts Management curricula for St. Thomas University, Miami, Institute for Communication, Entertainment & Media, School of Leadership Studies. She is curator and archivist in collections management of military aviation history for Estrella Warbirds Museum; and works as an independent curator on selected projects. Jill is a contributing writer for Artpulse Magazine, Miami; ArtDistricts Magazine, Florida; and Artvoices Magazine, Los Angeles. She lives and works on the Central Coast in California. 13 Lecture notes from online course, “Ethics: A Framework for Ethical Decision Making, Fundamental Ideas,” National University, School of Business Management, Services Marketing, April 2001. 15 Surowiecki, James. The Wisdom of Crowds: Why the Many Are Smarter than the Few and How Collective Wisdom Shapes Business, Economies, Societies, and Nations. New York: Doubleday, 2004. 16 Jacobs, Jane. Systems of Survival. New York: Vintage Books, 1994. 24 McNee, Lori. “5 Common Traits of Successful Artists.” Lori McNee fine art & tips. 23 July 2010. 2 Feb. 2011 <http://www.finearttips.com/2010/07/5-common-traits-of-successful-artists/&gt;. Lori McNee works in still life and landscape oil paintings. Bringing her career to the masses through online media, she ranks as one of the Top 100 Most Powerful Women on Twitter & was named a TwitterPowerhouse by The Huffington Post. 31 Jeffri, Joan. “Managing uncertainty: The visual art market for contemporary art in the United States.” Understanding International Art Markets and Management, Iain Robertson, ed. New York: Routledge, 2005. 142-143. 32 Jeffri, J., R. Greenblatt, Z. Friedman, and M. Greeley. “The Artists Training and Career project: painters.” New York: Columbia University research Center for Arts and Culture, 1991. 36 Art Work: A National Conversation About Art, Labor, and Economics 20 Dec. 2010 <www.artandwork.us>. For more information on these and other essays relevant to the discourse, see: <www.artandwork.us>. Major support for SPACES is provided by The Cleveland Foundation; Cuyahoga Arts and Culture; The George Gund Foundation; Donna and Stewart Kohl; Kulas Foundation; Toby Devan Lewis; National Endowment for the Arts; Nimoy Foundation; and the Ohio Arts Council. Art Work is partly funded by Lauren Rich Fine & Gary Giller and the John P. Murphy Foundation. 37 Mogel, Lize. Lize Mogel 20 Dec. 2010 <publicgreen.com>. 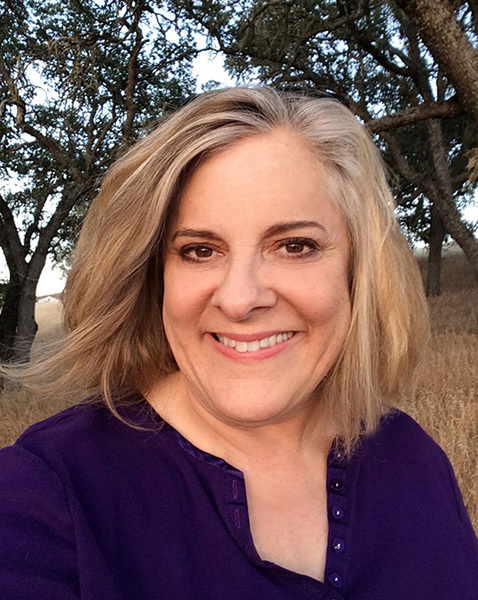 Lize Mogel has received grants from the Jerome Foundation, the Graham Foundation, the LEF Foundation, the Los Angeles Department of Cultural Affairs, and the Danish Arts Council for her work. 43 Muchnic, Suzanne. “Los Angeles art history – a timeline.” Copyright © 2015 Los Angeles Times. Latimes.com. (26 Oct. 2008) 5 Feb. 2011. http://www.latimes.com/entertainment/la-la.1.ca_art-2008oct26,0, 1061474, print.story. The above blog is an excerpt from: “Artist Emergence in Contemporary Culture: A Dialectic in Social and Material Conditions of Southern California Artists,” by Jill Thayer, Ph.D., a dissertation submitted to the Faculty of Claremont Graduate University in partial fulfillment of the requirements for the degree of Doctor of Philosophy in the Graduate Faculty of Cultural Studies with a concentration in Museum Studies. Claremont Graduate University 2011. Copyright ©2011 Jill Thayer. All rights reserved. No part of this publication may be reproduced or transmitted in any form or by any means, digital, electronic, or mechanical, including scan, photocopy, recording, or any other information storage retrieval system or otherwise without written permission from Jill Thayer. Cover design ©2011 Jill Thayer, (inspired by Haven Lin-Kirk); “The Business of Art/Non-Profit Art Practice” ˝2009 Lize Mogel. UMI Dissertation Publishing (3450883). Copyright 2011 by ProQuest LLC. All rights reserved. This edition of the work is protected against unauthorized copying under Title 17, United States Code.